Unilever PLC provides fast-moving consumer goods in Asia, Africa, Europe, and Latin America. This international dividend achiever has increased distributions for over one decade. Over the past decade this dividend growth stock has delivered an annualized total return of 7.70% to its shareholders. The company has managed to deliver an average increase in EPS of 19.30% per year since 2000. 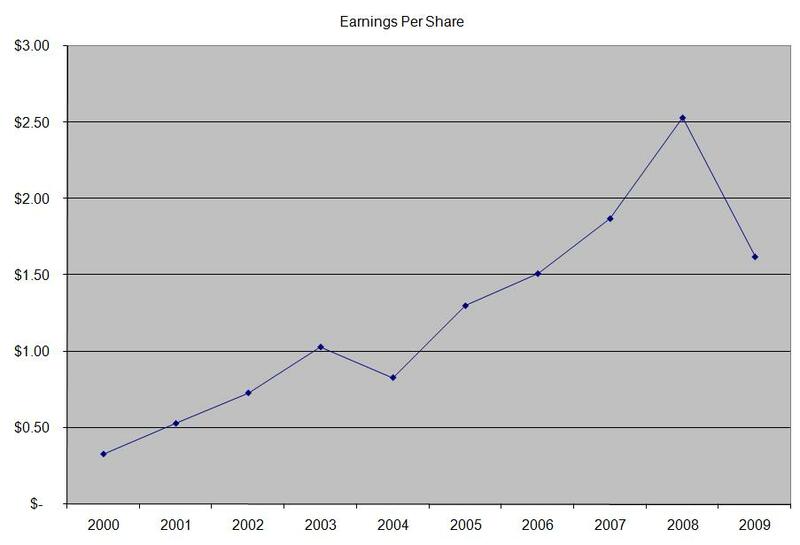 Analysts expect Unilever to earn $2.28 per share in 2010 and $2.22 per share in 2011. 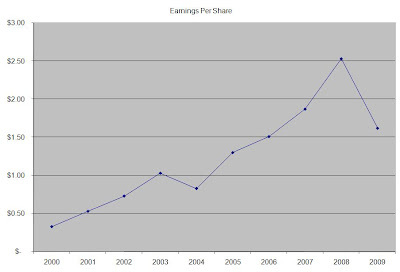 This would be a nice increase from the $1.62/share the company earned in 2009. The large annualized increase in earnings per share was mainly due to the fact that EPS was depressed in 2000 and subsequently recovered. Future growth in EPS would depend on how the company balances its pricing with the need for volume growth in its segments. The company has a target growth in sales of 3%- 5% per year. It has been active in the acquisition front, most recently by acquiring Alberto Culver (ACV) and Sara Lee’s (SLE) body care business unit. The company has a high return on equity, which has remained above 27% for the latter part of the past decade. Rather than focus on absolute values for this indicator, I generally want to see at least a stable return on equity over time. The annual dividend payment in US dollars has increased by 10.10% per year since 2000. 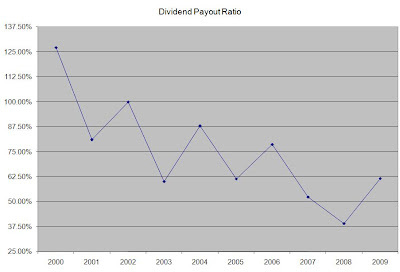 A 10% growth in distributions translates into the dividend payment doubling every seven years. With international dividend achievers, it is important to look at the history of dividend increases in the local currency, in order to avoid any confusion about the volatility of US dollar dividend payments, caused by currency fluctuations. 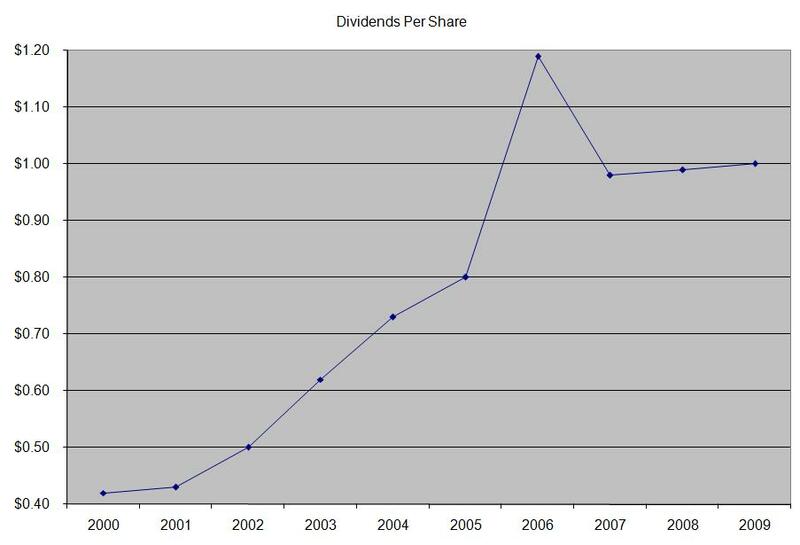 The company’s dividend history in British pounds shows consistent pattern of distribution increases since 1999. 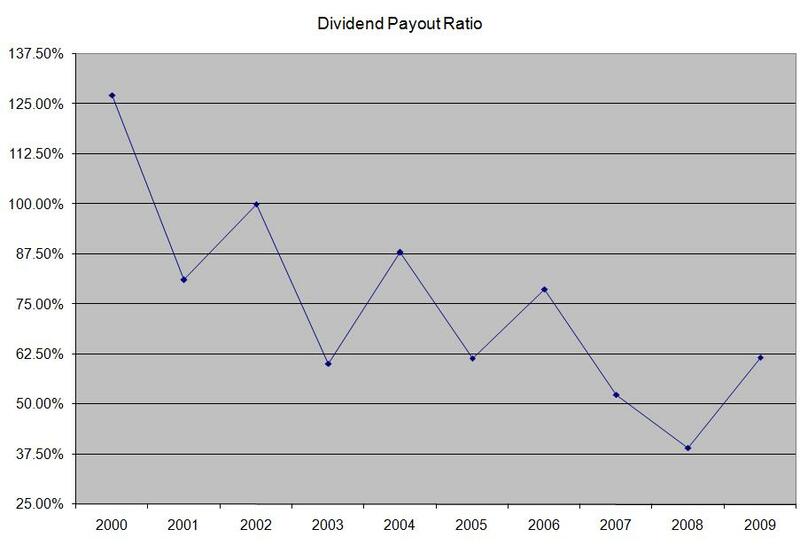 The dividend payout ratio has decreased steadily over the past decade, although it stayed below 50% only in 2008. Based off forward FY 2010 EPS however, the dividend is adequately covered from earnings. A lower payout is always a plus, since it leaves room for consistent dividend growth minimizing the impact of short-term fluctuations in earnings. 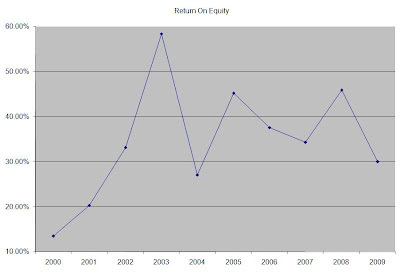 Currently, Unilever is attractively valued at 13.50 times 2010 earnings, yields 3.80% and has a sustainable dividend payout. I would continue monitoring the stock and will consider adding to a position in the stock on dips.